Ultra-runners are different than you and me. They run more, way more. While running gargantuan distances seems like a mile addiction, local ultra-runner, Chris Roman, is surprisingly well-balanced. Most of us would consider his latest accomplishment, running a grueling 135 miles in Brazil, a superhuman feat, but running is to Chris what running is to most of us – a vehicle for self discovery and for redefining what’s possible. In my recent interview with Chris, he talks about his focus on running, thinking and living exceptionally. JB: What was your draw to ultra running? CR: I used to run marathons when I was younger, just trying to get healthy and active. I ran the Music City Marathon and spent several years trying to qualify for Boston. I qualified in 2006 and went on to run Boston in 2008 and again in 2010 as a “Double” Marathon. 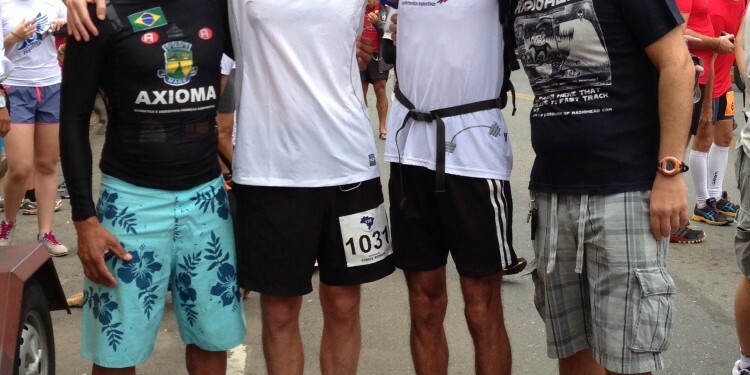 In October 2006 I ran a Marathon with Dean Karnazes (now a good friend). He is an amazing Ultrarunner who was in the process of running 50 marathons in 50 states in 50 days. I ran the 40th with him on a trail course in Kentucky. 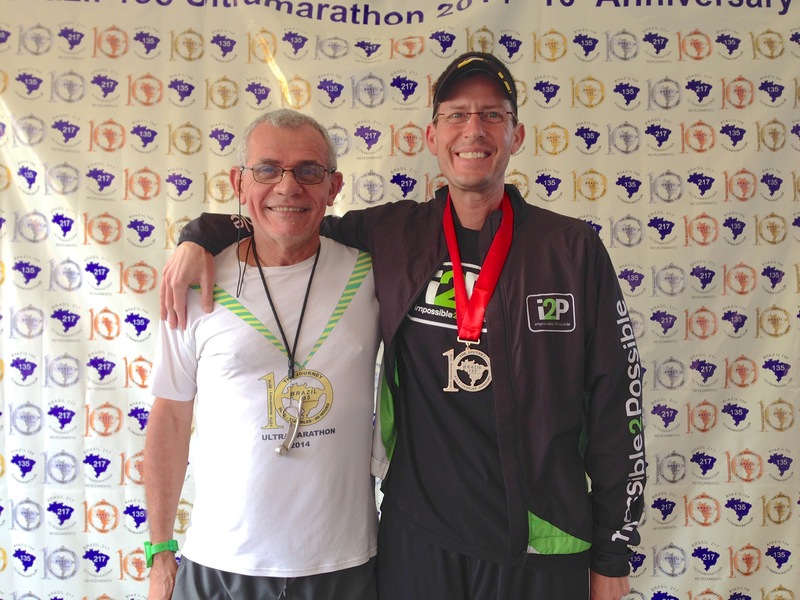 In speaking he encouraged me to go beyond 26.2 – so I did. It started with a 50k trail race and led to my first 100mile in Leadville in 2008. It has been a slippery slope from there. I have run Badwater twice and was honored to run with Dean there in 2012. JB:	The ultra-running community seems relatively small. Do you have a large support system? CR:	My Ultrafamily is truly family and a huge part of who I am. In 2010 I became the first person to run across the Erie Canal (344miles in just over 6 days). 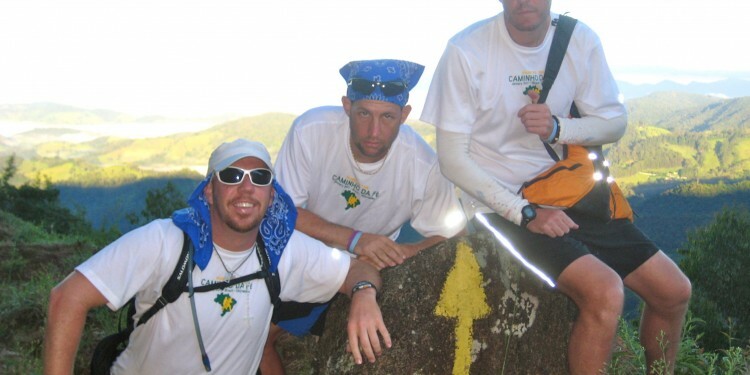 In 2011 my good friends Tony Portera, Jarom Thurston and I became the first trio to run Brazil’s Caminho da Fe (Path of Faith). 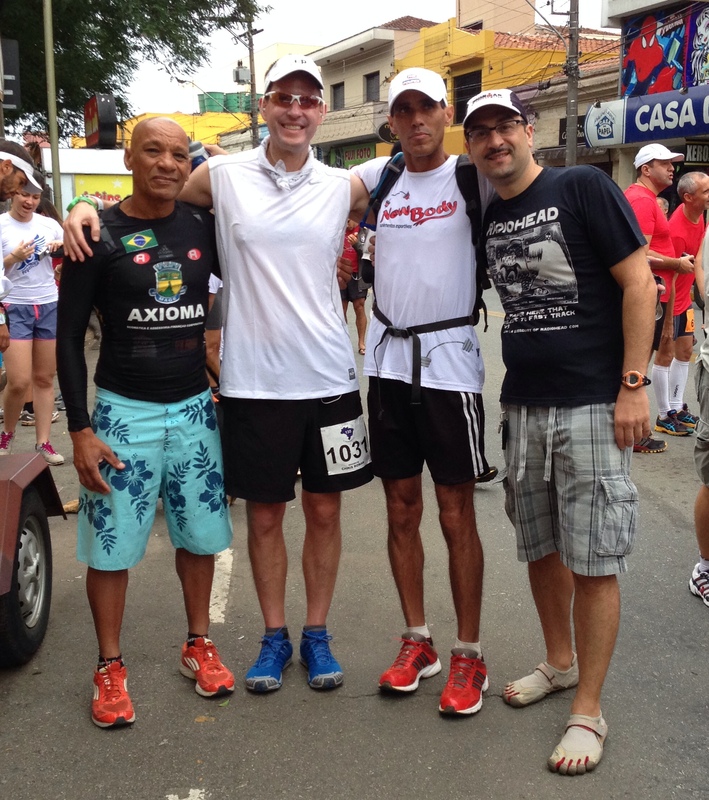 We ran approximately 344miles over 7plus days and competed in the Brazil 135 along the way. 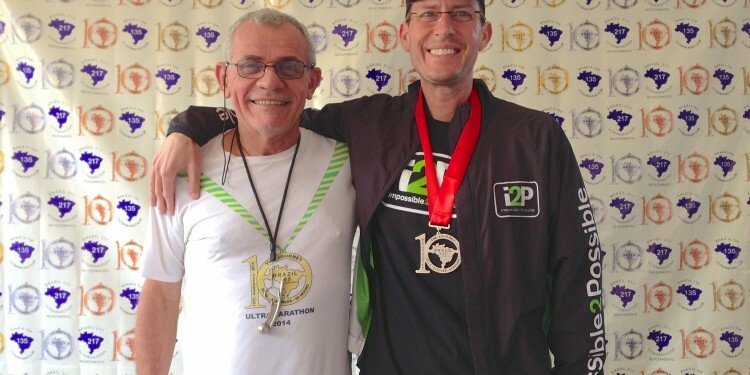 Last week (January 2014) was my 3rd Brazil 135 where I finished 8th overall, 1st American and broke the American record completing the race in 30h3sec. JB:	Is there such a thing as a “great” ultra race? Do you ever feel good during a run or is every run a constant challenge? CR: A runner named Gabriel Flores, who won Badwater in 1998, was quoted in a 1999 film about Badwater (Running On The Sun) saying “I could be dying and an hour later I could be flying”. There is often death and rebirth over and over again so when you have positive energy you MUST run. JB:	What are some of the mantras that keep you running? CR:	Gabriel’s quote above for sure as well as the belief that limitations are perceived. Strength comes from sense of purpose and conviction. I firmly believe that once you accept something as possible it can then be achieved. JB:	You must talk to yourself more than most people. CR:	Ha, no doubt!!!!!! The hardest thing is to not let the bad thoughts in. The first 30 or 40 miles of these races are often hard for me, mentally trying to block out what is ahead. 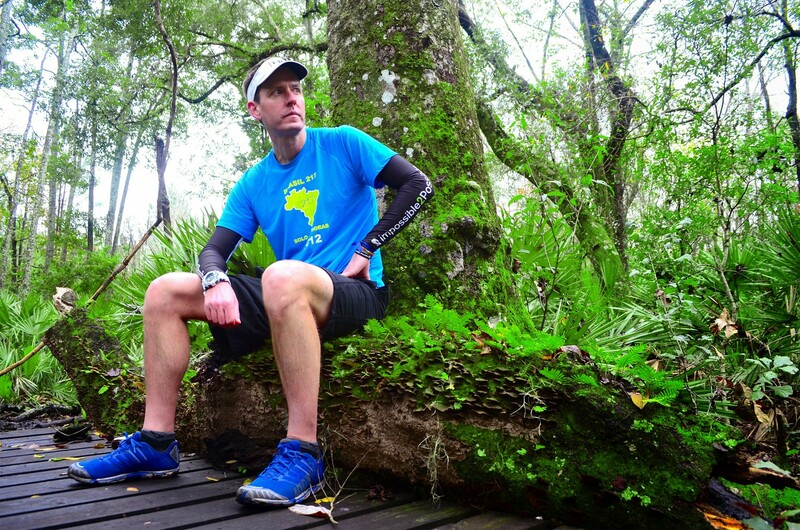 JB:	Without mental toughness, an ultra race would be over before it began. Is there a way to exercise mental toughness outside of running long distances? CR:	I find you gain mental strength by achieving your goals. Once you have attained something you become stronger the next time. I am very proud to say that I have never DNF’d an Ultra event of any distance although I am sure that day will come and when it does I hope to be stronger because of it. JB:	We’ve gotten used to seeing smiling runners in tutus during marathons. However, I’ve never seen a competing ultra runner smile. Does anything make you smile or laugh during a race? CR:	Probably the sheer idiocy of what I am doing sometimes. My good friend Dr. Lisa Bliss was quoted as saying “There is nothing smart about running 135miles through Death Valley in July”. She is right!!!! You would; however, be amazed at the smiles and attitudes you will see at Ultras despite the suffering people are enduring. People always remark on how I manage to smile. JB:	After running, is there any time left for cross training? JB:	I would think ultra running can be a selfish sport, with the required hours of training and recovering. Aside from your profession in healthcare, how do you give back to your community, family and friends? CR:	It’s funny a lot of people think that, but it is really about balance in life. Erin and I have very busy lives with our 2 beautiful daughters Maddox(8) and Carson (12), but we work together to strike a balance very effectively. I spend a significant amount of time working with Impossible2Possible as well as the Challenged Athletes Foundation. We serve as board members at the Clara White Mission and also as ambassadors for lululemon locally. I also enjoy motivational speaking because it is a chance to give back from my experiences. I truly believe my calling in life is not healthcare but one of inspiration. I thrive on these physical and mental challenges. 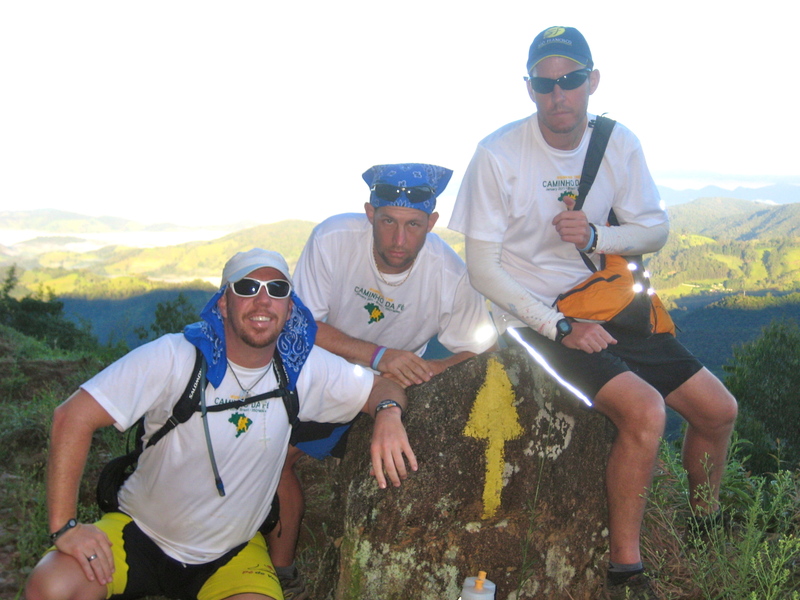 Impossible2possible serves to empower youth through amazing global running expeditions. Read more about the mission at www.impossible2possible.com. 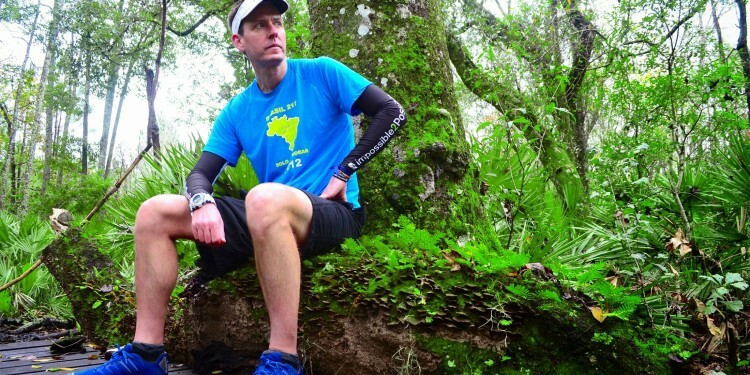 Chris Roman has run 21 races of 100miles or more. He is the current USATF 24hr Masters Champ.